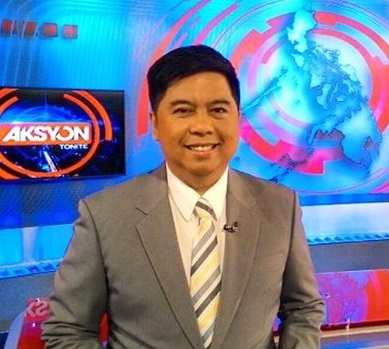 First on MNP: Jove Francisco has officially left TV5, Media Newser Philippines has learned. The veteran journalist, who is known for his incisive political reporting, is switching networks, joining ABS-CBN News Channel beginning this month. Francisco will soon be reuniting with his former ABC-5 boss, Tina Monzon-Palma, as he takes the helm as executive producer of the long-running evening newscast The World Tonight. Although no timetable has been set yet, Francisco will also contribute across ANC's broadcasts, our source said. Francisco has been a key member of the Kapatid news team since 1996, back when the network was still known as ABC-5. He has covered every presidential election cycle since then, and has interviewed every sitting president — from President Fidel Ramos to President Noynoy Aquino. He has also served as anchor to some of TV5's newscasts, including TEN: The Evening News, Aksyon JournalisMo, Pilipinas News, and Balitang 60; and correspondent to public affairs programs such as Dokumentado, Anggulo and Balwarte.